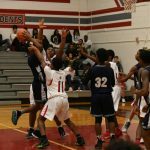 Sport Basketball Varsity Boys Home Score 56 Away Score 35 Game Recap The Trojans had a rough night in a loss to Inter-City Baptist. Austin Douglass led in scoring with 7 points. Trojans are home on Tuesday against Royal Oak Shrine. 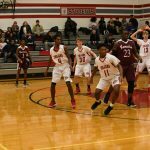 Sport Basketball JV Boys Home Score 47 Away Score 62 Game Recap Clarenceville’s J.V. boys basketball team played a hard fought game v.s. Lutheran Northwest. Jermell Johnson led all scores with 21 points with James Christie backing him up with 13 points. Sport Basketball Varsity Boys Home Score 49 Away Score 50 Game Recap Tight game came down to the last possession. Jawan Nelson paced the team with 18. Zach Kubiak had 9 and Nijel Blanton had 8. James Hill led the team with 9 boards. Next game is tomorrow @ Country Day against royal Oak. 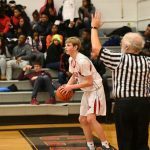 Sport Basketball JV Boys Home Score 53 Away Score 32 Game Recap Trojans played a tough game Tuesday night against a bigger Divine Child team. Jermell Led all scores with 17 points. Anthony McNeil, Quentin Banks, and James Christie all chipped in 4 a piece. 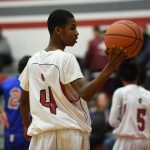 Sport Basketball 8th Grade Boys Home Score 22 Away Score 35 Game Recap The 8th grade Trojan basketball team played their first game yesterday against Ferndale M.S. The Trojans got off to a slow start and had a hard time scoring in the first half as Ferndale took a 14 to 4 lead into half-time.